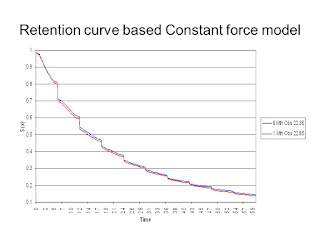 Phase2: http://www.actuarysense.com/2018/11/role-of-generalised-linear-model-in-non.html So we know that the purpose of GLM is to find the relationship between mean of the response variable and covariates. In this Article we are going to talk about Linear Predictors. 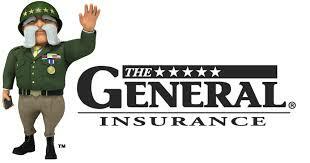 Broadly, General insurance is divided into 3 Categories i.e. Personal Insurance has 2 major aspects i.e. Introduced in India in 1981. 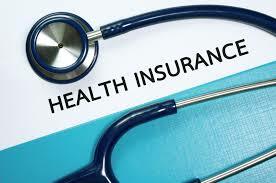 They offer Health insurance and can be issued as Individual policies or as a Group Policy. · It is a type of insurance coverage that covers the cost of an insured individual's medical and surgical expenses. Depending on the type of health insurance coverage, either the insured pays costs out-of-pocket and is then reimbursed, or the insurer makes payments directly to the provider. 1. 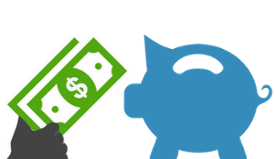 Nursing expenses, Anaesthesia and other specialist doctor Fees. 4. Requirement is that Patient should be admitted for atleast 24 hrs but this condition not applicable in case of – “Dialysis, Chemotherapy, Dental Surgery etc”. 5. Medical Expenses 30 days prior to and 60 days after hospitalization are also paid provided incurred for same ailment for which he is hospitalized. 3. Certain ailments are excluded for the first 30 days from the start of policy and some ailments are excluded for the first year such as Cataract, Hernia, Piles as they take time to develop. 1. These Policies can be issued in age group 5-80 years. However Children can covered between 3 months and 5 years too if one of the parents have taken a Mediclaim policy. 2. Principle of Contribution Shall Apply. 3. Policy can be cancelled by 30 days Notice. If cancelled by insurer, refund is made on Prorate basis. If cancelled by insured, refund is based on Short period basis. Life Tables: It is a computational tool based on a specific survival model. Our task is to generate a survival model and our output will be a life table. Life table is based on Unitary method. lx= Expected no. of lives at age x dx= Expected no. of deaths between exact age x and exact age x+1 NOTE: We call it expected and not actual because most of the values will be in decimal too, so how can it be actual. We will cover a series of topics relating to how Non Life Pricing is done through GLM. Let’s take the example of Weight (Y) and Height (X). The aim of linear models is to find the line of best fit through the data points. Line of Best Fit is B0­ + B1x where B0 is intercept on Y axis and B1 is the gradient. Now the question is how that line comes? Well, line is chosen in such a way to minimize the sum of squared error terms where error terms are distances from data points to straight line, error terms are normally distributed with mean 0 and variance σ2. As we know that Under DB pension plans, Employer has to contribute towards the plan, so today we are going to see how much an employer has to contribute and up to how much employer can avail the Tax benefit. Let’s Start with basic terminologies: 1.Stabilized rates: Pension regulators has set the Segmented interest rates that we can use to calculate our Liability. 2.Non-Stabilized rates: Non-stabilized rates are lower than stabilized rates, so technically Liability will be higher under non-stabilized rates. 3.FT= Funding Target, it means the liability of a plan calculated using 3 segment stabilized interest rates. 4.FT(max) = Funding Target, it means the liability of a plan calculated using non-stabilized interest rates. 5.TNC = Target Normal Cost = Present value of benefits accruing during the plan year.